San Gil Colombia is a small town located in the Santander department and is known as the adventure sports capital of Colombia. 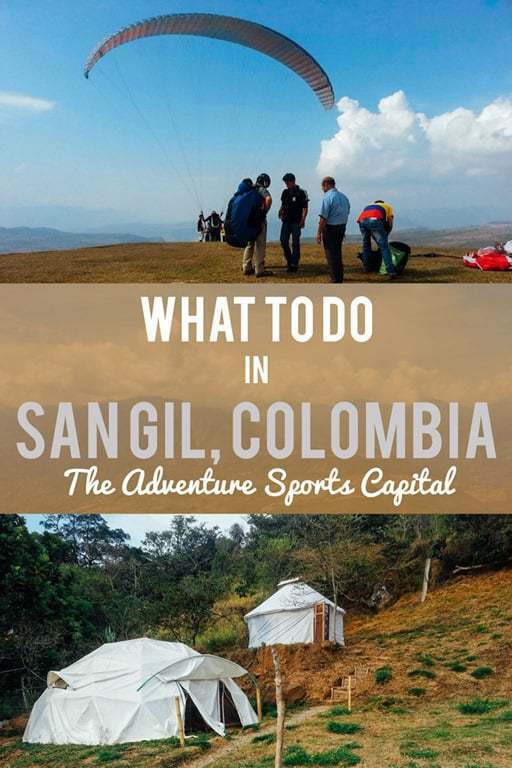 While the town may be small, thankfully there are a ton of things to do in San Gil, Colombia, which makes it one of my favorite destinations in Colombia, particularly if you love a little bit of adrenaline. 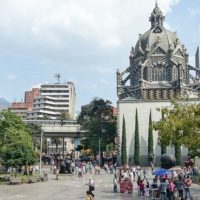 San Gil is centrally located just south of Bucaramanga the largest regional city, which serves as the primary transport hub to arrive in San Gil. 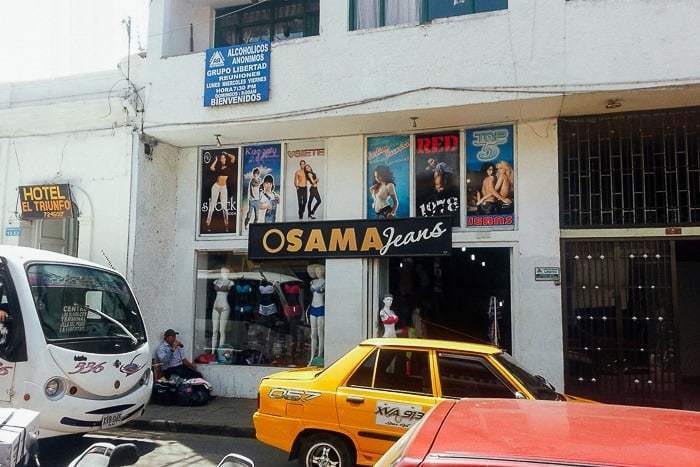 The town itself is small, with a walkable downtown core set among the Colombian hillsides, although the sidewalks are obscenely narrow. 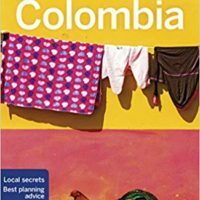 San Gil was one of my favorite small towns in all of Colombia, one that I could have happily spent even more than the two weeks we passed there. Speaking of extreme, San Gil Is one of the top white water rafting destinations in Colombia. In there area you will find two rivers to run at various grades of intensity. The Suarez River offers runs suitable for beginners and pros alike, with groups trips ranging from Class III to Class V.
The Suarez was named when the conquistador Gonzalez Suarez Rendon tried to cross with his horse, but sudden flooding caused the horse to drown. The Rio Fonce — which passes right through town — is another, slightly tamer option with Class II to III rapids. Either way, you’re sure to have a beautiful time out on the water and get your adrenaline going. Rather than traditional white water rafting though, we opted to do something a little different… Going body boarding through the Class III Rio Fonce! Here you’re given a life jacket, helmet, swimming flippers for your feet, and a little floaty board that you hang onto. Rather than being in the safety and comfort of a boat, here you are plopped directly into the water, bobbing like a cork in the river, and facing the roiling currents of Class III rapids head on and alone. Trust me, it’s way different than sitting in a boat and some of those waves can send you vertical or flip you outright. You still go with a guide who paddles alongside you in a kayak and tells you which way to go. It was a crazy fun day on the water, and I’d highly recommend it. Chicamocha Canyon is Colombia’s answer to the Grand Canyon: a steep sided canyon carved out by the mighty Chicamocha River. The canyon is 227 kilometers long and nearly two kilometers deep — which is even deeper than the Grand Canyon. 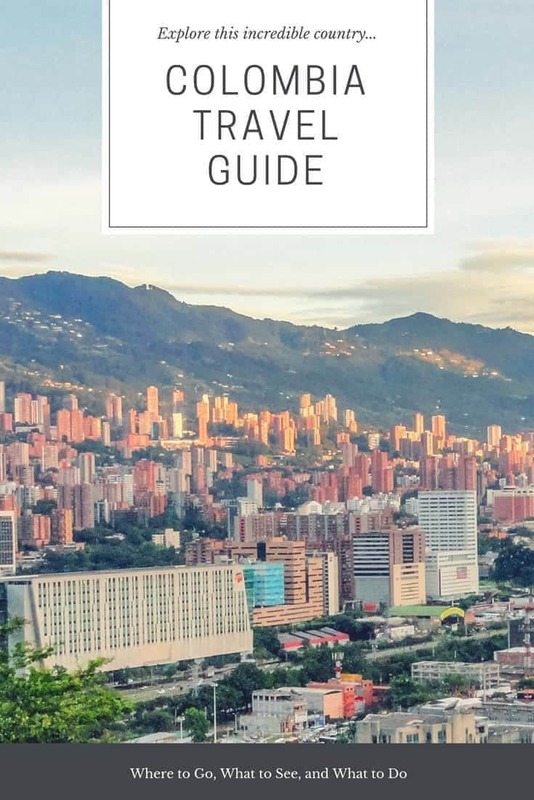 The bus from Bucaramanga to San Gil offers great glimpses of the canyon, but there is also an official park where you can take a 20-minute cable car ride down. You’ll also find amusement style attractions, like a giant swing that propels you out into space. Mesa de los Santos (near the tiny town of La Mojarra) offers the best sport climbing in all of Colombia. But it’s located on the other side of Chicamocha Canyon, so you’ll have to take the scenic way down the cable car to get there from San Gil. There are more than 100 bolted sport routes ranging from 5.6 to 5.14, and the place is sure to keep you busy for days or weeks. Stay at the nearby Rock Refugio. There are strong thermal air vents in the mountains above San Gil, making it an ideal location for taking a few laps in the air with a professional guide. You will find many tour operators among the downtown core who will arrange for the transport and activities. Our taxi driver took us up into the hills where we arrived at a bare hillside with a commanding view. We had to wait a while for our turn to come up, but eventually I got strapped in and we took flight! 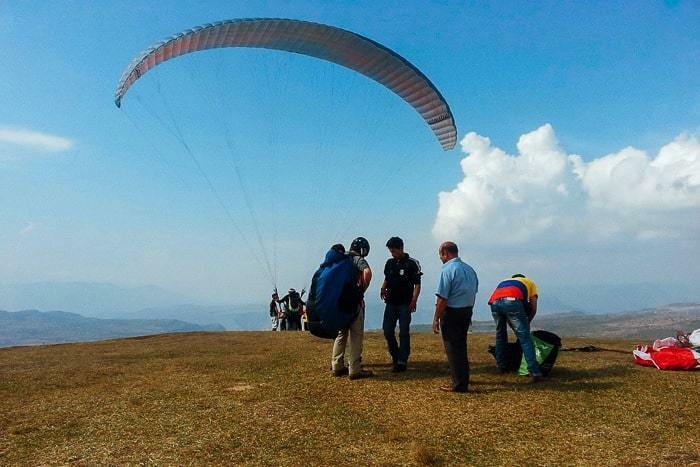 It was an awesome experience, my first time ever going paragliding, and something you must absolutely do. Ask him do corkscrews if you want something a little more extreme! There are paragliding tours over Chicamocha Canyon — Colombia’s Grand Canyon — with up to 30 minutes of airtime, but the launch location is about two hours away and will cost around 160,000 pesos. Many travelers opt for paragliding at the nearby Curiti, which is only about 40 minutes away, and costs 60,000 pesos, although usually only running 15 minutes of airtime. Hormigas Culonas, which literally translates as big bottom ants, are a local delicacy in the Santander region of Colombia. They actually just eat the backside of the ant, and not the head. Popping them into their mouth like popcorn. Okay, this one’s a little tastier than ant butts. Carne oreada is the traditional thin steak and is famous here in the Santander region. I’m not sure if it’s just because we were eating vegetarian food for awhile or what, but the carne oreada we had was one of the best meals I had in Colombia up to that point. It’s often served up with a side of yuca, arepa, potatoes, salad, and rice, and the meal is sure to leave you stuffed and satisfied. Perfect after a day full of adventures. 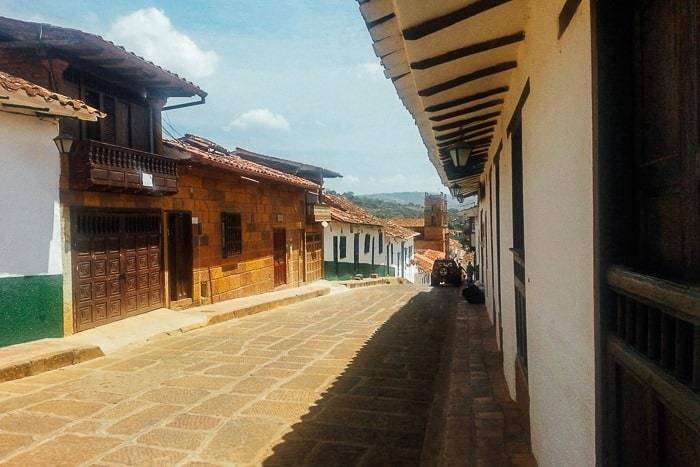 Take a day trip to the quaint little colonial town of Barichara, with its narrow cobblestone streets and white-washed buildings. The town isn’t very big, but just wandering around for a few hours is enjoyable enough itself in this beautiful town. 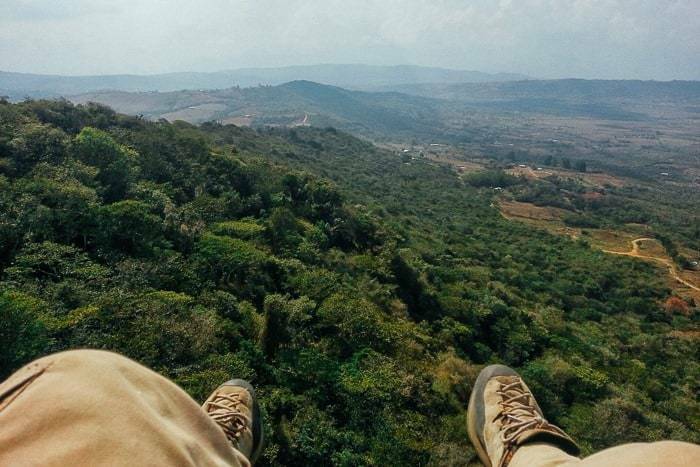 Along the edge of town you can sit at one of the overlooks for a cool drink and soak in the view of the rolling valleys and the Rio Suarez far below. Just don’t make the mistake of searching for the cigar factory like we did. We were informed that it closed a long time ago. 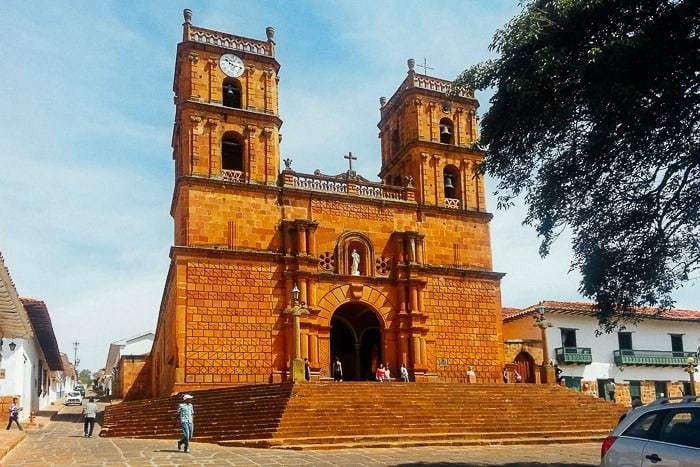 From Barichara you can also make the three-hour hike to the town of Guane and then return to San Gil by bus. Rather than stay at normal hostel in town, why not check out La Pacha Hostel and Camping, located a short bus ride from the center? 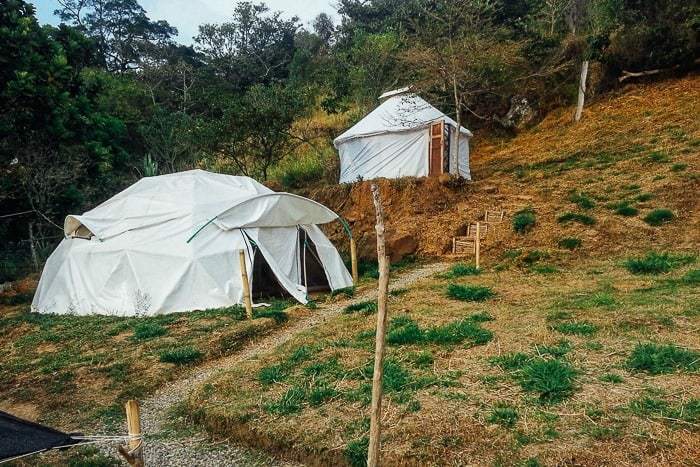 La Pacha offers “glamping” in yurts on an idyllic nature retreat, but they’ve also got shared rooms in the hostel, access to a kitchen, etc. 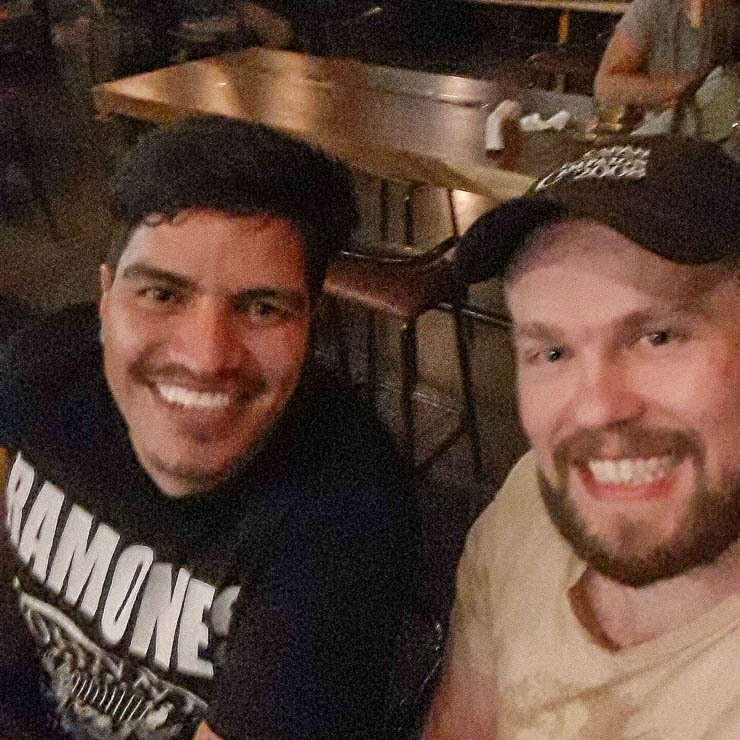 We spent two weeks at La Pacha and had a great time with Justin, a British expat, and his wife Andrea, from Colombia. They will even cook you up healthy vegetarian fare if you don’t feel like cooking. You can get fresh goats milk or cheese from them as well. 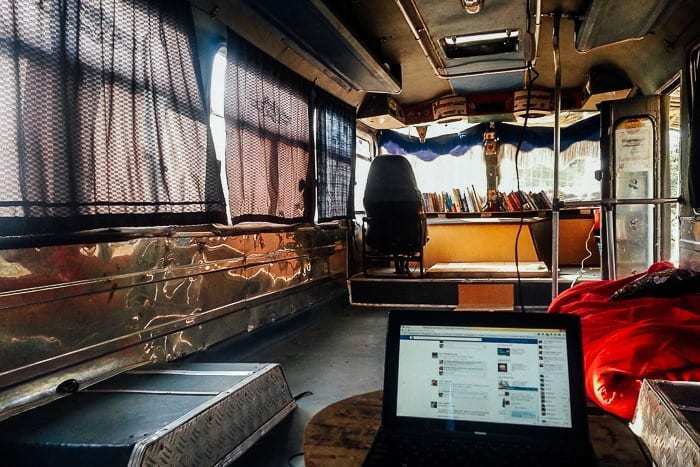 In the evenings you can hang out in the hammocks or in the “Magic Bus” which has been converted into a common area for reading or movies. All-in-all, San Gil is one of the coolest little towns in Colombia and is definitely worth being on your list of places to go. You can easily spend at least four days here, if not a week or more, and keep plenty busy. Traveling to San Gil on your next trip? Book the perfect room on Booking.com today! 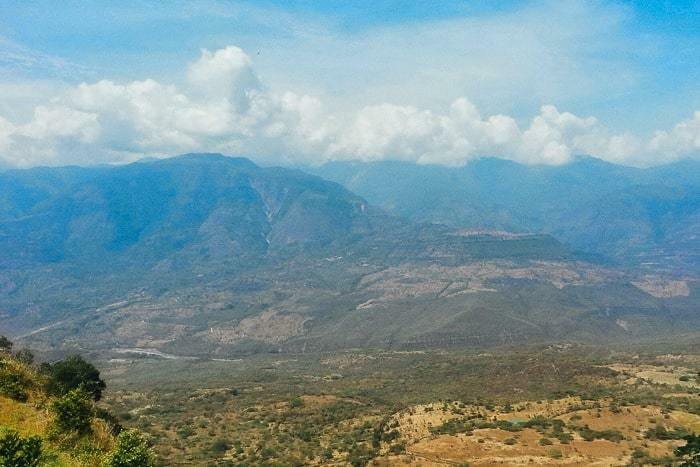 Did you enjoy this post about things to do in San Gil? Please take a moment to share it on Facebook, Pinterest, or Twitter.